Chile is the world’s top copper-producing country, so it’s no surprise that two of the largest copper mines are located in the country. Chile is the top copper-producing country in the world by a long shot, and many of the world’s largest copper mines are located there. In fact, copper mines in the country took two of the five top spots in terms of production last year. The other three mines are located in other countries around the world, but all of them are operated by major miner Freeport-McMoRan (NYSE:FCX). 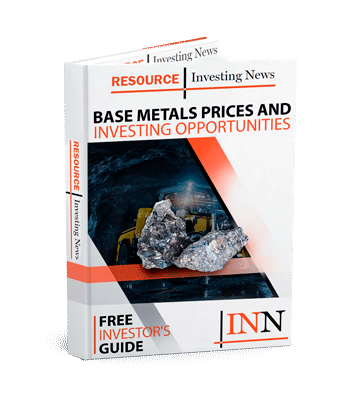 To get more insight into the world’s largest copper mines, the Investing News Network got in touch with Karen Norton, senior analyst at Thomson Reuters GFMS. Here’s what she had to say about the world’s largest copper mines of 2017. The Escondida mine in Chile is the largest copper mine, and is majority owned by BHP Billiton (NYSE:BHP,ASX:BHP,LSE:BLT). Rio Tinto (NYSE:RIO,ASX:RIO,LSE:RIO) and a Japanese consortium headed by Mitsubishi (TSE:8058) also have stakes in Escondida. Once again, Escondida remained by far the world’s biggest copper mine last year. Despite a historic 44-day strike, production weighed in at 920,000 tonnes of copper; that represents a 7-percent drop compared with 2016. Production at the mine was impacted by the strike in Q1 of last year. The strike also delayed the start of the Los Colorados extension project. Once in production, however, Los Colorados helped mitigate some of the losses produced by the strike. In 2017’s final quarter alone, the mine produced 322,000 tonnes of copper, considerably more than the 95,000 tonnes it produced in Q1. The Collahuasi mine, jointly owned by Anglo American (LSE:AAL) (44 percent), Glencore (LSE:GLEN) (44 percent) and Mitsui (TSE:8031) (12 percent), jumped up to second-place position last year. Its output increased from 507,000 tonnes of copper in 2016 to 524,000 tonnes in 2017. The second of the largest copper mines in the world saw this rise come in part due to higher ore grades and “a strong plant performance,” according to Norton. The rise in production was also partially due to the fact that output was previously constrained by major maintenance on two of the three smaller SAG lines at the mine. 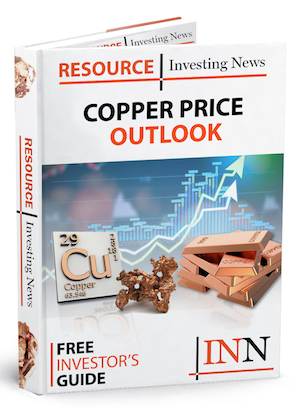 Freeport-McMoRan’s majority owned Cerro Verde mine in Peru remained in the third spot on the list with output of a little over 500,000 tonnes of copper last year. This represents a 4-percent decline from the previous year. Norton chalks this up to a settling following a large expansion the previous year that more than doubled production in 2016. Right on the heels of Cerro Verde is Grasberg. After years of underperforming, dogged by industrial action and ore grade issues, among other factors, Freeport-McMoRan’s Grasberg mine in Indonesia resurfaced in 2016 in second place, and in 2017 it rolled back to become the world’s fourth-largest copper mine. Benefiting from access to higher-grade ore, Grasberg produced around half a million tonnes of copper in 2017. Production levels were be hampered last year by a 15-week halt to production after the Indonesian government suspended the company’s export permit. Its current license will expire in February 2019, so these issues may arise again. While this mine was in second place in 2015, it only produced enough copper last year to become the world’s fifth-place mine. Morenci put out just 470,000 tonnes of copper in 2017, which is 6 percent lower than 2016. The mine is majority owned by Freeport-McMoRan, while Sumitomo Metal Mining (TSE:5713) holds a 28-percent stake as well. Now that you know about the world’s largest copper mines, what else would you like to know? Tell us in the comments below. Los Bronces is in the Metropolitan Region of Chile. The Los Pelambres mine is only 200km north of Santiago as the crow (or should I say condor) flies!! In Chilean terms neither would be classified as the north and definitely not in the Atacama region or desert!